RE:DEFINE returns to The Goss-Michael Foundation for its second year on Saturday, September 22, 2012. 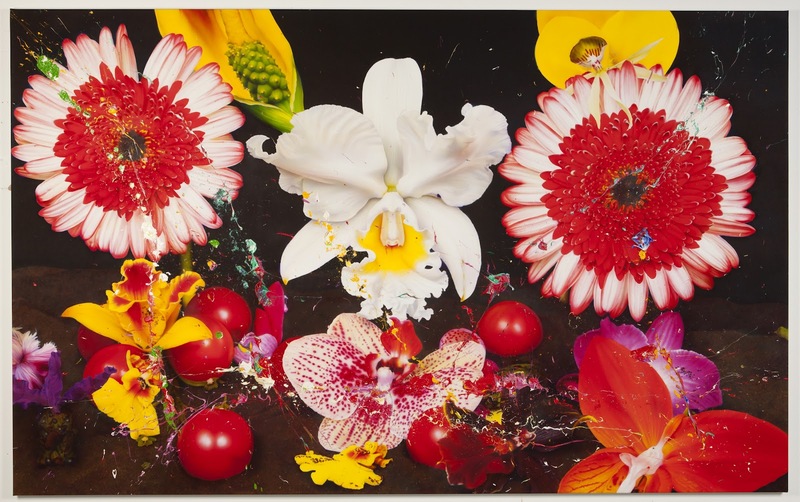 This dynamic pop exhibition and auction will bring together iconic and specially-commissioned photography and artworks by established and emerging talent, including Mat Collishaw, Ralf Kaspers, Ryan McGinness, Michael Craig Martin and Jen Stark. All proceeds from sales will benefit the MTV Staying Alive Foundation. The MTV Staying Alive Foundation is a global HIV prevention and awareness charity that is 100% donor funded. The Foundation operates with a simple vision – to stop the spread of HIV before it starts. By funding young people running grassroots prevention projects, and producing content that raises awareness to global youth, the Foundation fights HIV the smart way. Tickets are available here starting at $350. The event begins at 7PM. In addition to the exhibition and auction, the event is complemented by a dynamic range of supporting activities, including a 100 ft public mural in downtown Dallas by Lee Baker, exclusive limited edition RE:DEFINE t-shirts designed by Parra, a specially-commissioned fine art print edition by Mark Webber and live painting at the gala auction by Dave White. 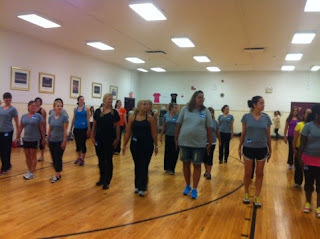 I was invited to workout with the Radio City Rockettes, hosted by Pfizer – the makers of Caltrate® and Centrum®. We literally went backstage into the REAL workout rooms the Rockettes use. We started to dance, where the Rockettes taught us the famous Wooden Soldier. You do this by moving your hips while never bending your knees with your arms straight by your side. It’s a great gluteus maximus workout! We also learned how they fan kick. In order to feel stable, the Rockettes “feel the fabric,” which is where you lightly brush the person back standing next to you BUT not actually touching them. The left hand goes on the next woman’s lower back, and the right arm on the next woman’s upper back, giving the illusion of locked arms. Now began these leg kicks! The Rockettes use the term kicking “Eye High” for what they do – truly they are physically amazing! After the dancing we learned more about the Rockettes. The height of a Rockette ranges from 5’6″ to 5’10.” They give the illusion of them being the same height by putting the tallest Rockettes in the middle and the shortest on the end. Every Radio City Rockettes has to tryout every year. All Rockettes wear 2.5 inch heels. They are expected to kick 300 kicks per show. They rehearse from 10AM to 5PM six days a week beginning in September for their Radio City Christmas Spectacular. That’s a lot of kicking! Thank you to Pfizer the makers of Caltrate® and Centrum® for sponsoring the event. “Feeling Young” is so important as you get older. Stay active, eat right and care for your body by taking a multivitamin and calcium. One of the great things about summertime is the opening of children’s movies. Unfortunately nowadays, it is hard to find a kid’s film that is Rated G. Let me introduce you to The Oogieloves in The BIG Balloon Adventure. 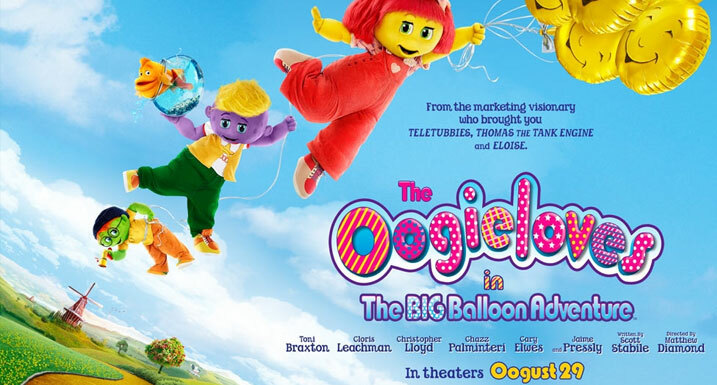 Producer Kenn Viselman, the man who brought Teletubbies and Thomas over to American TV, explains how the Oogieloves is different than other movies. I just got that what we need to do is allow children to be children, allow them to behave the way they would behave. And so if we created a film that allowed for that, that actually embraced it and encouraged it, we would have an incredibly different experience — not only would it be a different experience on the screen, but it would be a much more successful experience on the shelf. It’s is an interactive movie experience. While the Oogieloves get to dance and sing onscreen, the kids in the audience get to dance and sing along with them. Instead of having to pay big dollars at a kid’s concert, your family has the chance to move along with the movies characters for a fraction of the price. In my opinion, this film is geared toward kids ages 2 to 7. Nasher Sculpture Center and Target have partnered up on the first Saturday of every month providing FREE admission to this beautiful museum from 10AM-12PM. 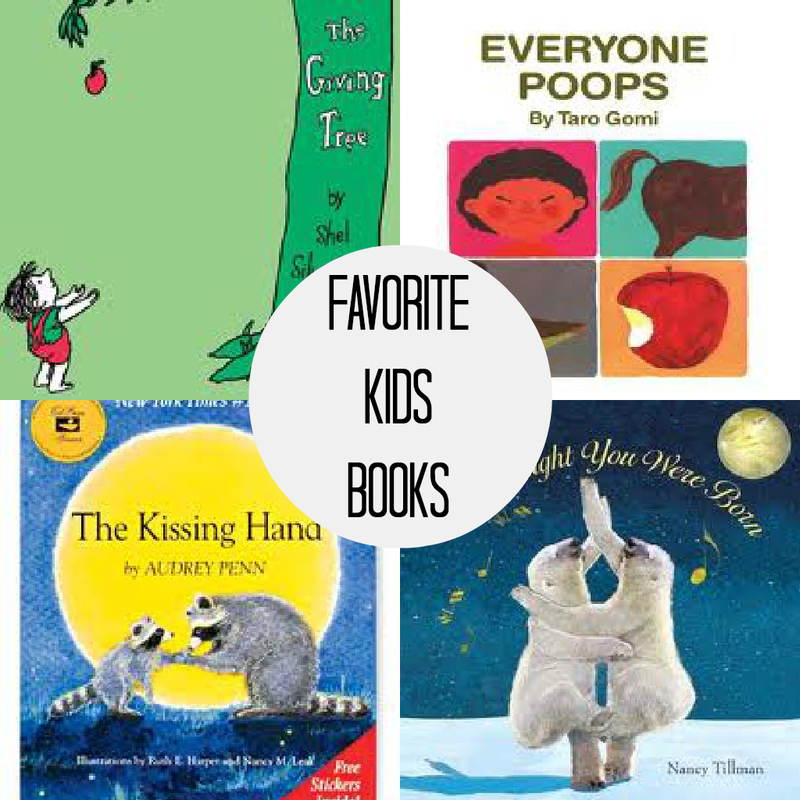 They provide children’s activities like an art scavenger hunt, kids’ art activity (where the kids’ “get their hands dirty”), sculpture demo, family tours and story time with the Dallas Public Library. As you enter into the museum, each child receives a gift bag with information about the center and an art scavenger hunt. This scavenger hunt uses a picture of part of the art, and the kids (and parents) search around the museum to find out what the art is called and who created it. Kids are great explorers, and this activity really challenges the kids to look and study the art. I LOVE IT! As we are searching for art, we run into other exhibits at the museum that we LOVE. 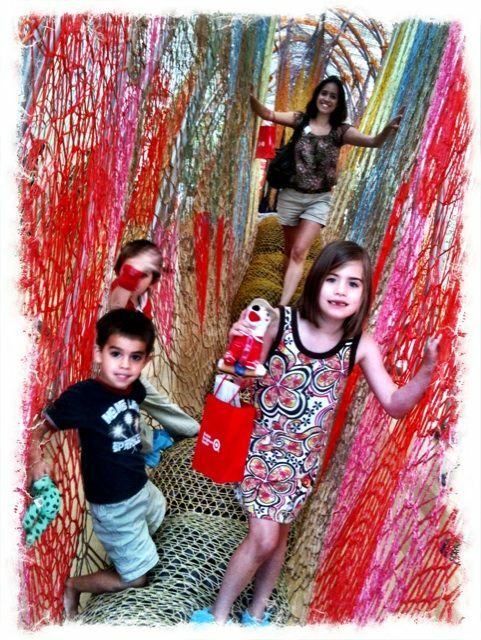 Currently at the Nasher, they have an interactive art called “Cuddle on the Tightrope.” Wow! The kids thought this was “sooo cool” & thought the colors were “pretty.”This exhibit is only available until September 9, 2012, so you better head to the museum and check it out soon. After exploring the museum and “cuddling on the tightrope,” we were hungry. 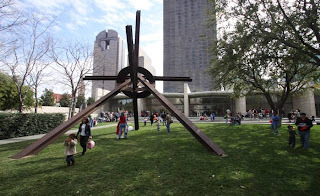 Nasher has a wonderful cafe with Wolfgang Puck’s delicious seasonal sandwiches, salads and soups prepared with farmer’s market produce, artisanal breads and locally-supplied ingredients. They have NasherKids meals that are delicious AND healthy. Thank you to Target for providing an opportunity for my kids to enjoy art AND to Nasher for have great exhibits for them experience it! Taste Addison turns 20 this weekend, May 18 – 20, 2012, and will offers a tasty weekend blend of food, music and family fun. This three-day festival features over 60 Addison restaurants serving generous samplings of their menus at reduced prices, national musical entertainment, celebrity chef demonstrations and wine tasting seminars, carnival rides, midway games, award-winning children’s entertainment, and more. A “taste” of Taste Addison 2012 includes national musical entertainment featuring Mat Kearney, Wade Bowen, Rhett Miller & The Serial Lady Killers and The Dirty Guv’nahs. Special features this year include the Taste of Troubadour, TX stage and children’s entertainment Dr. Seuss’ “Go, Dog. Go!” To complement the menu, the festival includes fun activities like carnival rides, midway games, arts and crafts, and children’s entertainment. Here are more details for you! Sunday, May 20, from Noon to 5 p.m.
Come enjoy the best food and entertainment that Addison has to offer! The Vince Young Foundation and Matt Nordgren’s Leadership Foundation have teamed up to host Boots and Bling: A Texas Fling on May 10-11, 2012. The two-day charity bash kicks off with the Texas Swing Golf Classic, a round of golf at the prestigious Dallas National Golf Club for top-level sponsors and many Texas Longhorn legends. On Friday, May 11 the festivities continue at Eddie Deen’s Ranch in Downtown Dallas with a Texas Longhorn studded red carpet arrival and private VIP sponsor reception. Patrons will get the opportunity to meet Texas Longhorn football heroes and have their photograph taken with many of the 2005 National Championship team’s greats. Jerry Jeff Walker will performing and their will be some delicious Texas barbecue. Longhorns expected to attend include Earl Campbell, Vince Young, Matt Nordgren, Bo Scaife, Cedric Benson, Jamaal Charles, Ahmard Hall, Terrell Brown, Selvin Young, Kasey Studdard, Derrick Johnson, Aaron Ross, Rodrique Wright, Michael Huff, Jonathan Scott, Marcus Griffin, Michael Griffin, Brian Orakpo and many more. Tickets are still available here for this Friday at Eddie Deen’s Ranch at 944 South Lamar, Dallas, TX 75002 starting at $250. VIP red carpet and reception are scheduled to begin at 6PM, followed by a barbecue dinner and concert performance by Jerry Jeff Walker starting at 7PM. Over 90% of kids play video games in US. 11% of children under 8 use a smartphone, iPod, iPad, etc. to play games. 42% of children under 8 have a TV in their bedroom. 40% of time spent on Facebook is spent playing social games. But, Brigham Young University School of Family Life researchers stand by a positive notion that could surprise some people: Video games may help strengthen the bond between parents and their daughters. The study found that girls who played video games with a parent behaved better, felt more connected to their families and had better mental health than those girls who did not play video games with their parents. Researchers also found that these game-playing gals had lower levels of internalization of emotions and higher levels of social behavior with their family members than those who did not play video games with parents. But, there was no evidence of such benefits with boys. It is important to note that positive bonding time was only associated with age-appropriate video games. 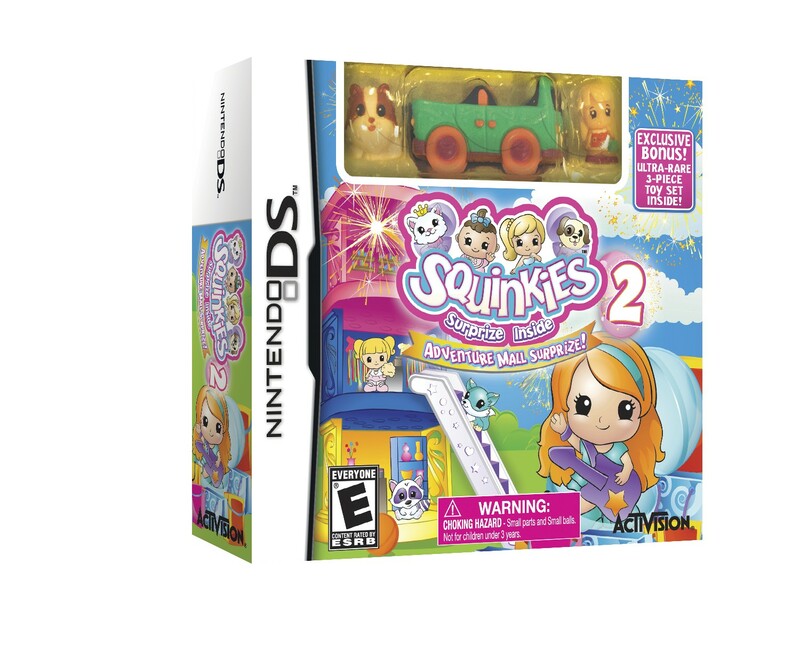 At a recent Activision Games For Girls Summit, they presented 6 games for that girls most often play: Lalaloopsy, Zoobles, Wappy Dog, ZhuZhu Babies, Moshi Monsters: Moshling Zoo and Squinkies 2: Adventure Mall Surprize! All of these featured games have some level of nurture and care for the creatures and characters. Does your girl like making cute things? She might like Lalaloopsy. Zoobles allows your girl to take care for their zoobles and explore whimsical worlds. Zhuzhu Babies brings your pets alive by caring & nurturing them. Note: Targeted for youngest gamer with voice guidance. Moshi Monsters is the world’s fastest growing online game for kids. Moshi Monsters: Moshling Zoo expands their online gaming experience on the Nintendo DS. FINALLY, in Squinkies 2: Adventure Mall Surprize, kids will explore the recently opened Adventure Mall Surprize. As young gamers control their squishy, squashy character, they learn to navigate the mall in a quest to invite the other lovable Squinkies to a fantastic Squinkies party. 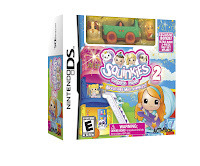 I am giving a lucky reader Squinkies 2: Adventure Mall Surprize Nintendo DS video game and Squinkies Tiny Toy Set. Comment below why you like to play video games. You can also enter by following Real Posh Mom and tweet the giveaway. Make sure to include @realposhmom and @ATVIGames4Girls in your tweet. The giveaway will end November 28. 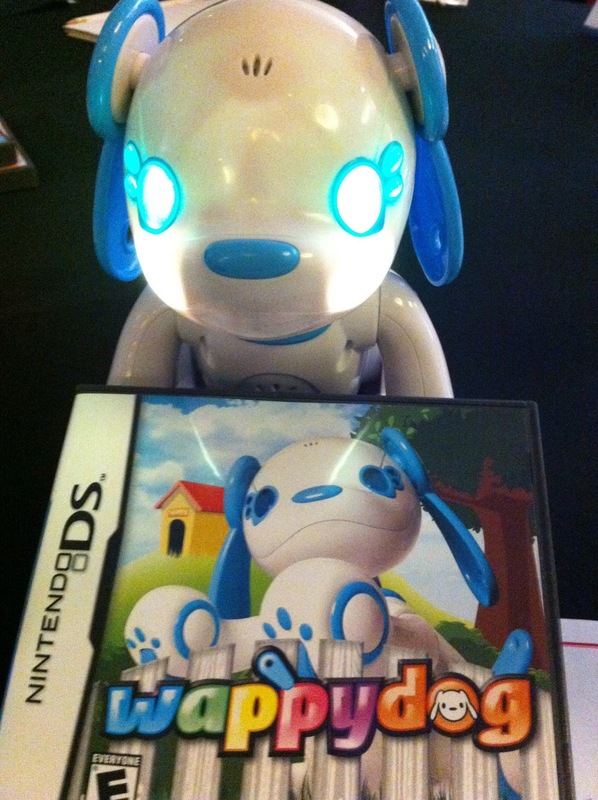 Disclosure: I was given the above gifts at the Activision Games For Girls Summit. I was not obligated to write this review but wanted to share what I learned at the summit.